Silicon carbide (SiC) crytsals have unique physical and electronic properties. Silicon Carbide based devices have been used for short wavelength optoelectronic, high temperature, radiation resistant applciations. The high-power and high-frequency electronic devices made with SiC are superior to Si and GaAs based devices. Below are some popular applications of SiC substrates. Because SiC has a high thermal conductivity, SiC dissipates heat more rapidly than other semiconductor materials. This enables SiC devices to be operated at extremely high power levels and still dissipate the large amounts of excess heat generated from the devices. SiC-based microwave electronics are used for wireless communications and radar. GaN, AlxGa1-xN and InyGa1-yN epitaxial layers on SiC substrate or sapphire substrate. SiC based devices have low lattice mismatch with III-nitride epitaxial layers. They have high thermal conductivity and can be used for the monitoring of combustion processes and for all sorts of UV-detection. SiC-based semiconductor devices can work under very hostile environments, such as high temperature, high power, and high radiation conditions. SiC is used for the fabrication of very high-voltage and high-power devices such as diodes, power transitors, and high power microwave devices. Compared to conventional Si-devices, SiC-based power devices have faster switching speed higher voltages, lower parasitic resistances, smaller size, less cooling required due to high-temperature capability. SiC has higher thermal conductivity than GaAs or Si meaning that SiC devices can theoretically operate at higher power densities than either GaAs or Si. Higher thermal conductivity combined with wide bandgap and high critical field give SiC semiconductors an advantage when high power is a key desirable device feature. 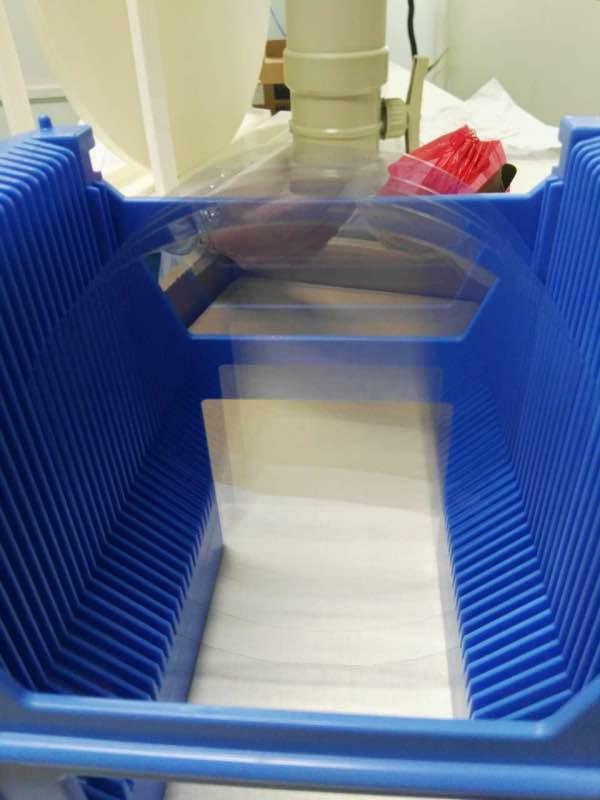 or single wafer containers, under a nitrogen atmosphere. A: 100％T/T, Paypal, Secure payment and Assurance payment. A: (1) For inventory, the MOQ is 2pcs.